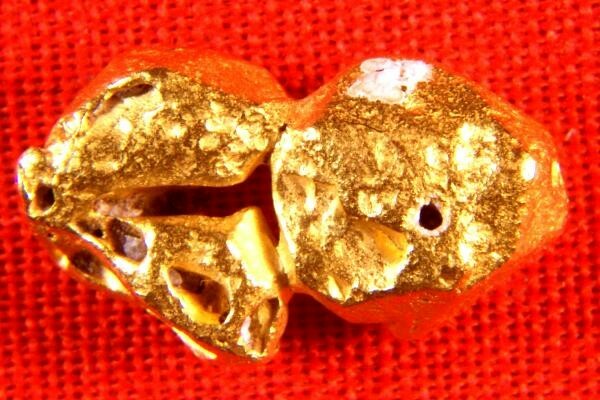 This is a very rare and unique natural multiple gold crystal formation from the jungles of Venezuela. It has such a unique shape. There are three distinct gold crystals joined together, and you can see little pieces of quartz trapped in pockets in the nugget. Truly amazing. The detail is incredible. It was recovered in Zapata, just outside of Ikabaru, near Santa Elena de Uairen in Venezuela by Venezuelan miners who make their living recovering these gorgeous gold crystals in the jungle. 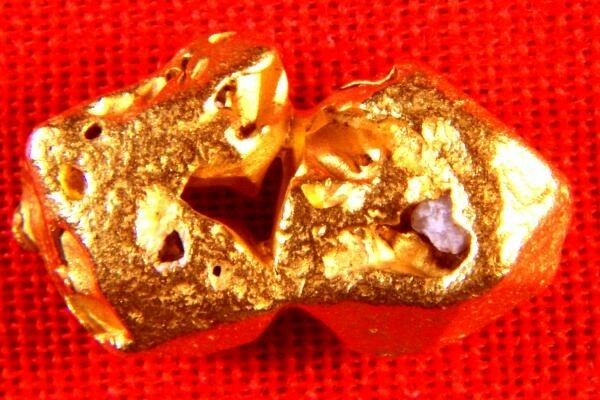 This spectacular multi-crystal gold nugget is 1/2" (13 mm) long and it weighs in at 40.9 Grains (2.65 Gram).